Pete has 20 years of experience concentrating in real estate law. Prior to his moving back to his native South Florida, Pete was Deputy Counsel and Director of Financial Administration for the Massachusetts State Treasurer. Since 1993, Pete, along his brother Tom, founded Carney Legal Group, P.A., Crystal Title & Escrow Co., and Carney Select Properties. In 2006, Pete was appointed by the Governor of Florida to serve as Tax Collector of Palm Beach County. After serving out his term, Pete returned to Carney Stanton Chartered to continue his land use and transactional legal practice. Carney Stanton P.L. has offices in Coral Gables and Delray Beach, Florida in which to serve the tri- county South Florida needs of its clients. Pete has represented a prominent developer in Wellington in their multi-parcel application to amend the Comprehensive Land Use Plan. 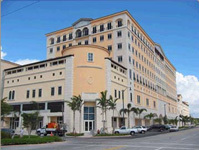 Pete has represented a developer in Boynton Beach as to ownership issues between Boynton Beach and Palm Beach County. Pete, along with his brother, represented a builder in Fort Pierce, Florida in the development of a 123 housing development. In particular, the platting of the development site, ongoing zoning and construction issues, creation of the development�s homeowners association, and financial strategy. General Counsel for Patrician Capital, LLC. A Wealth Advisory & Family Office Services headquartered in Palm Beach County. Admitted to the Massachusetts Bar - Florida Bar - New Hampshire Bar. United States District Court (Massachusetts). United States Court of Appeals (Massachusetts). United States Supreme Court. Real Estate Broker License for the State of Florida. Former Certified Mediator for the 11th, 15th, and 17th Judicial Circuit, Holder of Series 7, 63 & 65 Securities License.